WisPolitics.com offers digital banner advertisements on our network of sites, digital banner advertisements within our subscriber email newsletter products and other sponsorship opportunities. Available banner ad sizes include 728×90, 300×600 and 300×250. Talk to Colin Schmies about your campaign. Colin will answer all your questions and assemble a plan that is right for your organization. We only have a limited amount of space available, so call today! 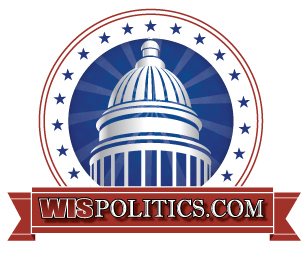 WisPolitics.com has been providing in-depth coverage of Wisconsin politics since 2000, and now regularly reaches more than 36,000 unique individual users each month — and sometimes more than 100,000 unique visitors during peak months. We have the customers you want to reach! If you need to reach self-identified independent voters, interested citizens and decision-makers up to the highest level, then you’ll certainly benefit from one of our advertising programs. WisPolitics.com is of interest to a very select, high-quality demographic group that includes top elected officials, government staff, business leaders, lobbyists, attorneys and political professionals. Our site also gets great national exposure. When compared to other forms of advertising, our monthly rates are very reasonable for the amount of targeted exposure you receive.